The goal for the attorney in a DUI case involving a breath test reading over .08 is getting the breath test result thrown out of evidence. In order to get the breath test results thrown out, the DUI defense attorney can file a motion to suppress the breath test reading when the machine used during the subject’s test was not in substantial compliance with the administrative and statutory rules. Below you will find a summary of all of the trial court orders on Florida Law Weekly in which the trial court suppressed the breath test result because of a lack of compliance with the administrative rules. This article gives you examples of the most common problems that can arise during the monthly inspections of Florida’s Intoxilyzer 8000 breath test machine. If you find a case we missed, please let us know and we will be happy to add it to this list. The State argues that FDLE was permitted to reanalyze the solution per the FDLE alcohol testing program procedures manual, the defense on the other hand argues that the promulgated rule (11D-8.0035) prohibits re-analysis. The issue is resolved by the FDLE procedures manual. On page 2 of the FDLE alcohol testing program manual, it states that the purpose of the manual “is to document the procedures of the Florida Department of Law Enforcement alcohol testing program. It is not intended to supersede, and when in conflict, is subordinate to, information and processes in the Florida Statutes, Florida Administrative Code, or FDLE policies and procedures”. Since FDLE 11D-8.0035 requires all results to fall within acceptable range, this court finds that the promulgated rule and section 2.14 of the FDLE alcohol testing program procedures manual to be in conflict and therefore section 2.14 is subordinate to the promulgated rule (11D-8.0035) and therefore, retesting is not permitted since 11D-8.0035 requires all of the results must fall within acceptable range. The lot at issue was not properly approved, and the use of the non-approved solutions during the department inspections rendered the results inadmissible. State v. Brink, 20 Fla. L. Weekly Supp. 772a (Fla. 17th Cir. Ct. 2013) – The circuit court, sitting in its appellate capacity, affirmed the lower this granting of the defendant’s motion to suppress evidence related to breathalyzer testing in this driving under the influence case, holding that there was no error in granting the motion to suppress where the trial court, after hearing conflicting evidence regarding inspection of Intoxilyzers, found that fraudulent practices and intentional systematic destruction of evidence occurred when “plug pulls” (a loss of power to the machine, causing it to lose data) erased data from failed inspections, and holding that the finding was supported by competent, substantial evidence. See also State of Florida v. Medina, Case No. 09-78AC10A [18 Fla. L. Weekly Supp. 170a]. State v. Hoover, 20 Fla. L. Weekly Supp. 776a (Fla. 17th Cir. Ct. 2013) – The circuit court, sitting in its appellate capacity, affirmed the lower court’s granting of the defendant’s motion to suppress evidence related to breathalyzer testing in this driving under the influence case, holding that it was not an abuse of discretion to suppress breath test results based on a lack of substantial compliance with the rules governing Intoxilyzer 8000 (the breathalyzer testing machine used) inspections, where the rules require that inspectors rinse their own mouths with alcohol before blowing into the machine. In this case, the inspector rubbed alcohol on her own lips and gums before testing the machine, and did not rinse with the solution; this was the only inspector known to use this technique. State v. Ikramelahai, 20 Fla. L. Weekly Supp. 772b (Fla. 17th Cir. Ct. 2013) – The circuit court, sitting in its appellate capacity, affirmed the lower this granting of the defendant’s motion to suppress evidence related to breathalyzer testing in driving under the influence case, holding that there was no error in granting the motion to suppress where the trial court, after hearing conflicting evidence regarding inspection of Intoxilyzers, found that fraudulent practices and intentional systematic destruction of evidence occurred when “plug pulls” (a loss of power to the machine, causing it to lose data) erased data from failed inspections, and holding that the finding was supported by competent, substantial evidence. State v. Viera, 20 Fla. L. Weekly Supp. 773a (Fla. 17th Cir. Ct. 2013) – The circuit court, sitting in its appellate capacity, affirmed the lower court’s granting of the defendant’s motion to suppress evidence related to breathalyzer testing in driving under the influence case, holding that there was no error in granting the motion to suppress where the trial court, after hearing conflicting evidence regarding inspection of Intoxilyzers, found that fraudulent practices and intentional systematic destruction of evidence occurred when “plug pulls” (a loss of power to the machine, causing it to lose data) erased data from failed inspections, and holding that the finding was supported by competent, substantial evidence. State v. Osorio, 19 Fla. L. Weekly Supp. 734 (May 18, 2012, 7th Judicial Circuit) – During the first inspection the Agency Inspector performed on this Intoxilyzer 8000 breath test machine, he testified he took too long and the intoxilyzer timed out. A second inspection was done and during this attempt, the Inspector believes he used too much mouth alcohol causing the machine to reflect “slope not met” causing the Inspector to abort this second test and start a third one. During the third test, that was aborted by the inspector due to the possibility that a radio frequency interferent would be detected in the room. Finally, a fourth inspection was started which resulted in a successful inspection. During these four attempts, the inspector did not contact the FDLE Department Inspector or record the reasons for the non-compliant rest results in the remark section of Form 40 as required. The Court ruled that since the machine was never taken out of service as required by Form 39, the department inspector was never contacted as required by the rules, and the remarks were not recorded on Form 40 as required by the rules the machine was not in substantial compliance. As this cases show, multiple compounded deviations from the procedures set forth by the Administrative Rules cause the Intoxilyzer 8000 machine to not be in substantial compliance. Bruns v. State, 15 Fla. L. Weekly Supp. 958b (August 14, 2008, 8th Judicial Circuit). The machine in question was inspected on January 23 and did not pass the simulator test. During the retest, the machine failed again. The Intoxilyzer 8000 breath test machine was not removed from service according to Form 39 and was instead tested again on January 24. During this test, the intoxilyzer failed both the initial and retest. The machine was again left in service. Two days later, the testing procedure was performed again and the test completed successfully. The machine was never removed from service before the subject provided a breath sample and the Court ruled that because the agency deviated from the requirements of Form 39 the breath machine was not in substantial compliance. the radio frequency interference tests were conducted improperly. As a result, the Court ruled that the State could not meet its burden of demonstrating substantial compliance and the breath test results were excluded from the trial. State v. Stephenson, 13 Fla. L. Weekly Supp. 797c (April 28, 2006, 16th Judicial Circuit). The Intoxilyzer 8000 machine in this case presented an “out of tolerance” reading of .086 during the February 2004 agency inspection. The agency inspector did not take any corrective action and FDLE later discovered error and informed the inspector. The Court ruled that this reading is per se failure. The State attempted to argue that the other tests performed on that inspection were within range and the inspections in subsequent months were within tolerance so there was substantial compliance. The Court disagreed and found that Deputy’s inability to remember possible explanations for the results and any steps he took to correction the problems show a lack of substantial compliance. So in that case, the breath test reading was suppressed because the State did not meet their burden of demonstrating substantial compliance given the number of irregularities and the lack of correction or maintenance of the machine. State v. Wright, 14 Fla. L. Weekly Supp. 167c (December 15, 2006, 7th Judicial Circuit). During the April monthly inspection, the Intoxilyzer 8000 used in that case did not detect acetone in any of the test solutions, even after the inspector submitted the solution a second time (thereby doing two tests). The inspector did not include any comments in the remarks portion of Form 40 to explain any reasoning for this abnormality. The inspector informed the State Attorney’s office that he did not know why the machine did not detect the acetone, and immediately began another test—which was normal. Another test was done a month later which was also normal. The Court pointed out that the substantial compliance rules dictate that if a check or test is repeated, the reason for that repeat must be entered when prompted and recorded on the Form 40-which was not done on the first or second test. The Court also pointed out that if the machine does not comply, the inspector is required to remove the instrument from service and notify the Department inspector, which was not done in this case. The Court found the machine not to be in substantial compliance based on the April test being repeated and then restarted (in violation of the rule that the test can only be repeated once), the fact that the machine was not taken out of service after it failed to comply, and the fact that the inspector did not know why the machine was malfunctioning and failed to indicate a reason on Form 40. State v. McGrath, 9 Fla. L. Weekly Supp. 631b (July 17, 2002, 14th Judicial Circuit) The Intoxilyzer 8000 in that case emitted high and low tones during breath test of the subject. The defense expert testified this was an indication of a malfunction of the instrument. Inspections were done in August 2001, September 2001, October 2001, November 2001, and December 2001. During each inspection, the printer was not functioning properly and the print cards had numerous errors. 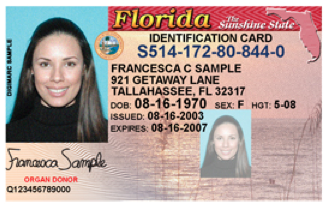 According to FDLE Form 16, print cards must be legible. Experts testified that printer problems may result from malfunction of the test instrument’s microprocessor or computer functions. The prosecution argued that because the instrument’s test results fell within acceptable ranges, this problem went to the weight rather than admissibility of the breath test reading. The court disagreed and found that numerous problems render the test results in the case unreliable. If you are charged with a DUI case involving a breath test reading over .08 in Tampa, FL, or the surrounding counties in Tampa Bay, then contact an experienced criminal defense attorney. Our Tampa DUI attorneys are experienced in fighting DUBAL (driving with unlawful BAC level) cases in Hillsborough County and the surrounding counties of Hernando County, Pasco County, Manatee County and Polk County, FL. Call 813-250-0500 to discuss your DUI BAC case today. This entry was written by lsammis, posted on April 14, 2017 at 22:39, filed under DUI Test, Florida DUI Breath Test, Intoxilyzer 8000, Tampa DUI Attorney and tagged breath test, Intoxilyzer 8000, substantial compliance. Bookmark the permalink. Follow any comments here with the RSS feed for this post. Post a comment or leave a trackback: Trackback URL.